If you’re living in one of America’s 40 million renter households, there’s an easy way for you to quickly and painlessly increase your credit score and even help qualify for a mortgage. What’s the secret? It’s simply adding your rental payment history to your credit reports. Fortunately, there are a handful of companies that let you initiate this process: two of them are RentTrack.com and RentReporter.com. Both are online rent payment reporting services. Here’s what you need to know to go about adding alternative credit data, such as rent and utility payments, to your credit files and watching your credit score quickly rise. For starters, you must use an approved company or have your landlord agree to add your rent payment information to your credit files with Equifax, Experian and TransUnion. In other words, you can’t report your rent payment data yourself; only credentialed property managers and third-party payment processors can do it. Still, you can initiate the process and get the ball rolling quickly and easily. And the best news of all is how rapidly you can see results. According to a research study from Experian, called Credit For Renting, just one month’s worth of positive rental payment history being reported on an individual’s credit report was enough to strengthen his or her credit score. In the study, Experian used the VantageScore 3.0 and discovered that 75% of study participants saw their credit scores jump, most by 11 points or greater. TransUnion likewise has recently produced research on this topic, and it too found that your credit score can improve after only one month of including rental data in your credit reports. With TransUnion’s study, nearly two-thirds of participants got a boost to their credit scores, with many gaining a 10-point increase. There’s other positive news for renters who want to become first-time homebuyers. If you’ve been deemed “unscoreable” – meaning you lack traditional credit, so you have no credit score at all – you can now get a credit score generated after having just two months to six months of rental payments added to your credit files. So how can you set about adding rent payments to your credit reports? Experian and TransUnion work with RentTrack, a service that lets tenants nationwide pay their rent online and then have their monthly payment information included in their credit reports. You can use this service just by going to http://RentTrack.com and clicking on the button that says “Resident” to get signed up. With the RentTrack site, you can pay your rent online by e-check or credit card. But be aware that according to the company’s website, RentTrack charges a technology platform fee of 3.25% per credit card transaction. Also, some property managers may set a different fee, and may pass eCheck fees to tenants. (Any fees will be displayed when setting up your first payment). One of the appeals of RentTrack is that it bills itself as the only third-party rent payment processor that is authorized to report to both the Experian and TransUnion credit bureaus. The other service, RentReporters.com also lets you update your credit files with rental payment history. Currently, this service reports your rent track record only to TransUnion. It’s free to set up a RentReporters credit bureau reporting account. However, as a credit bureau requirement for accurate rental history payment reporting, members must use one of the company’s automated RentPay systems – and those systems require a fee. It’s $3.95 per transaction for payments made via ACH or E-check. The cost is 2.95% per transaction for payments made via credit or debit card. One upside about RentReporters is that it’s the only service of its kind that, from the time you enroll, lets you report as much as 24 months’ worth of your past rental payment history. RentReporters even verifies your previous rental payment history at your current address and can “certify” your previous rental payments, providing you with a payment report to be use as a credit reference if you need one. Again, with services like these, people with thin credit files and so-called underbanked consumers can also establish credit, build their credit rating or increase their credit scores. If you try to add your rental information to RentTrack.com or RentReporter.com and your property isn’t listed, or you can’t sign up for some reason, you can always use one of these services to invite your landlord to enroll at no cost. That way, your landlord can submit your payment history directly. Also, TransUnion Resident Credit is another service that lets property managers submit data about their residents to TransUnion each month. This free service supplies information such as the amount and timeliness of your rent payment, as well as any balance owed. With ResidentCredit, you can’t submit this info directly to TransUnion. Remember: a third party has to verify the info. But if your property manager does not report, TransUnion officials suggest having your landlord contact [email protected] to discuss the ResidentCredit service. At the request of a property manager who is supplying TransUnion with rental payment data, TransUnion executives say they will share the information reported with other national credit bureaus, so they can also add your rent history to their consumer credit files and scores. Adding utility and cable bill payments to your credit report. Finally, what about reporting information other than rent payments and adding that data to your credit reports? Equifax has created a consumer services database that compiles data about individuals’ utilities, telecommunications, cable and satellite payments. Mortgage lenders can access this database if a borrower thinks that info will boost their chances of getting a loan. Experian is very bullish on the positive impact of adding utility data to your credit files. 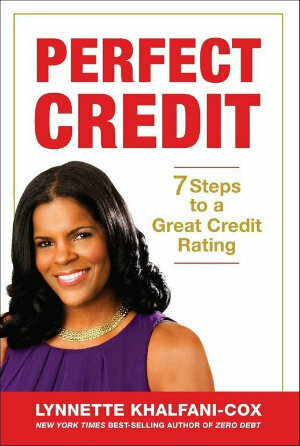 Overall, Experian found that 77% of study participants who previously had a credit score experienced a score increase, the majority of which was 11 points or more. Another 20% of consumers had no score change and only 2% of consumers had a score drop greater than 11 points. 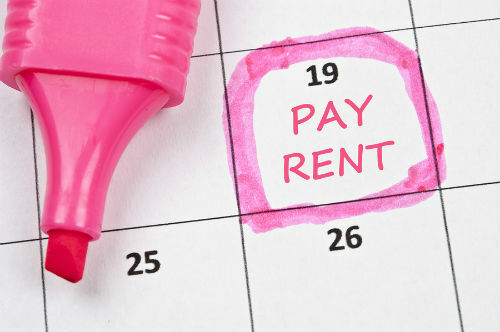 So here’s the bottom line: if you pay your rent and utility bills on time, this is all great news for you – and a heads up that you should begin looking into getting credit (pun intended) for your positive rental and utility payment history.